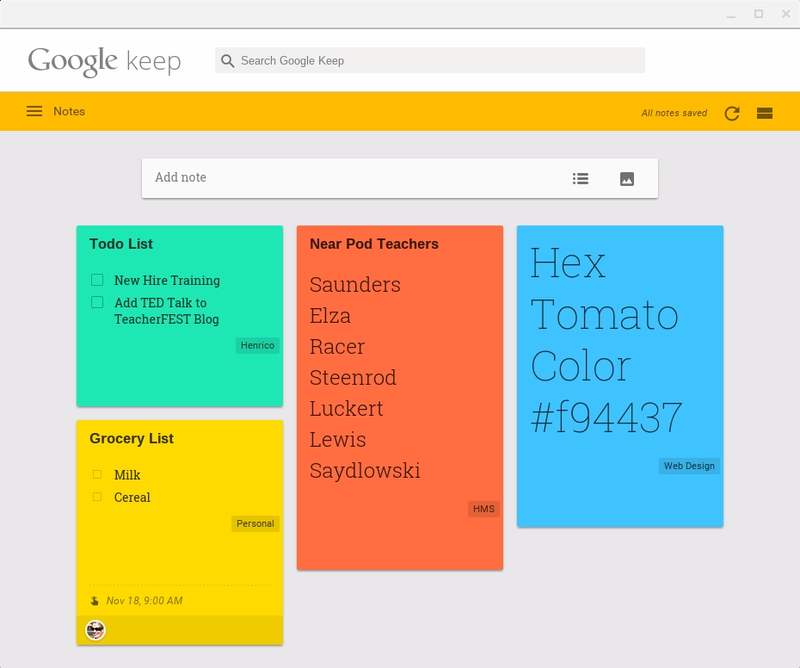 Google Keep is a Chrome app that allows for users to quickly create a "sticky note" in the form of a note, list, or reminder. Like all things Google, it is collaborative by nature and notes can be shared with others. There are other options as well such as uploading images and copying your notes to a Google Doc. Google Keep also works offline. For those of you who constantly have a million sticky notes open on your desktop, this is an app that might be worth checking out. You can download the Chrome App here.